Life is basically all about choices, writes Tony Stafford. Do you turn left or right? When I collected my laundered shirts by Snaresbrook station on Saturday morning, with an immediate destination of Loughton to pick up Harry Taylor en route to the 2,000 Guineas and Newmarket, option one was to turn right and go via the A12 and M11. But almost of its own volition, my car instead turned left and travelled the urban way through South Woodford, Woodford and Buckhurst Hill, all stops along the Central underground line, but avoiding the bottleneck at Debden. Halfway there, at Woodford Green, it was impossible to miss the statue of that location’s former Member of Parliament, Sir Winston Churchill, cast in familiar bulldog pose and dominating a piece of greenery on the southern tip of Epping Forest. A few hundred yards on, Churchills fish bar, destined to be an impulse stop around 30 hours later for a celebratory cod fillet – no chips – offered a second nudge to possible events at turf’s HQ. Classic winners are supposed to have “good names” and there is little doubt that the octet of 2,000 Guineas heroes trained by Aidan O’Brien, all for various combinations of the Mrs Sue Magnier, Michael Tabor and Derrick Smith team, have that distinction in common. King of Kings (1998), Rock of Gibraltar (2002), Footstepsinthesand (2005), George Washington (2006), Henrythenavigator (2008), Camelot (2012), Gleneagles (2015) and now Churchill all, bar maybe Foostepsinthesand, fulfil the nomenclature requirement and offer testimony to the language skills of Mrs Magnier, daughter of Vincent O’Brien. More pertinently, as the late, great Vincent’s successor at Ballydoyle, Aidan (no relation) O’Brien has set the record for 2,000 Guineas victories, beating that set in the mists of time by John Scott, when that stable manager had neither the might nor the money of the Maktoums and the Qataris to contend with. You say something, like “a record eighth win” quickly and as bald fact it deflects the enormity of the statistic. Nineteen years on from his first 2,000 Guineas triumph, it means that Aidan has won 40% of the possible opportunities in that timeframe. When you look at the potential fire power of some of the 200-strong teams around the UK and the almost bottomless pockets of a number of their patrons, such monopoly is truly embarrassing for his rivals. I took a minute before yesterday’s 1,000 Guineas to talk to Michael Prosser on just that point, and he trumped me with an even more unlikely one. I’d just taxed Aidan with the question: “Are you any good at maths?” hoping to confound him with the 40% thing, but in true character Aidan had first to apologise and then rush away to monitor one of his trio into the parade ring before the Classic. Prosser said: “We have nine Group 1 races here and last year Aidan won six of them.” Add to that the weekend Guineas double of Churchill and Winter and that makes eight out of the last 11 and 73%! One 2,000 Guineas which Aidan did not win was its 2011 version, dominated throughout by Frankel, named for a great horseman, New York-born Bobby Frankel, Prince Khalid Abdullah’s principal US trainer. Almost an equal part of the Frankel mystique, apart of course from the fact that he was never beaten in a three-year career, was that he was trained by Sir Henry Cecil in the closing phase of his own eventually life-ending illness. Frankel, the racehorse, shares with Churchill and Winter, as well as Saturday’s impressive Jockey Club Stakes winner Seventh Heaven, a common factor in that all four are products of Galileo, the most potent of the stallions that have fuelled Coolmore Stud’s recent pre-eminence. For some sections of the media – especially television – members of Frankel’s initial crop have been portrayed as embodiments and thus likely equals of their father, but in horse racing that sort of expectation can only be cemented on the racetrack, rather than in sentiment. A number have already proved precocious, and four of his early stakes horses appeared with a fair degree of expectation in the two Classic races. Fair Eva and Queen Kindly both made good starts to their juvenile seasons, but were respectively only fifth and ninth in the 1,000, while Dream Castle and Eminent were fifth and sixth, close behind the principals the previous day. Two other sons of Galileo, shared the spotlight with dad on Saturday: Teofilo, the best of his first-crop sons, is the sire of Permian, runaway winner of the Listed Newmarket Stakes and Ronald R is by Frankel’s old racetrack rival, Nathaniel. I cannot resist one statistical fact away from racing that further embellishes the amazing level of O’Brien’s achievements. Tottenham Hotspur, renowned as the true FA Cup team – “if there’s a “1” in the year, Spurs win the Cup” as the adage used to go, last won that competition in 1991 and the League Championship 30 years earlier! Not that you would think so with some of the coverage of that “sport” in recent months. I’m sure there must have been a number of Churchills racing in the UK over the years and the Racing Post also lists a few reared and raced elsewhere. James Burridge, breeder and part owner of the great Desert Orchid, also probably held quite high expectations for the 1995-born son of Derby runner-up Carlingford Castle – behind Teenoso, Lester Piggott’s last winner of nine in 1983. Lester was in the paddock before Saturday’s race, but I doubt he remembers the 1995 Churchill, sold for 700gns to Keith Brown Properties, Hull, and a four-time raced non-achiever with a 31-length seventh, 69-length 12th before an unseated and pulled up ended his unremarkable time in action. Also in the house on Saturday was Andy Smith, owner and bloodstock agent, who might just have got the best of the Frankel euphoria. Andy was the original owner, apart from David and Diane Nagle, the breeders from Barronstown Stud, of the filly, Toulifaut. She won three times for the Jean-Claude Rouget stable before going under the hammer at the Arc sale, less than 24 hours before her date in the Prix Marcel Boussac. She changed hands for 1.9 million Euro, becoming the property of the Yoshida family’s Shadai Farm but was only eighth in the Boussac behind Godolphin’s Wuheida and fourth of six in her comeback run this spring. There were critics of Ryan Moore’s performance on Rhododendron after he was briefly denied a run on the filly, but the way Winter strode clear up the hill, makes it less of a certainly that the favourite would have beaten her even with a clear run. I am less than overjoyed that two days after he took a little each-way 20-1 on what has proved inspired information, Mick Quinn only passed on the news when Winter was already down to less than half that price. He can begin to make amends by getting a good run tomorrow night with Circuit at Leicester. She’s in the last, under Jamie Spencer, after which it’s off to Chester for three days and a switch of emphasis to Derby and Oaks trials. Phew! What do you think of the idea of driverless cars? 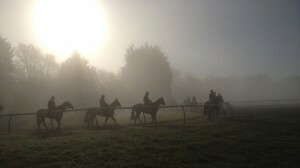 Why would anyone in government wish to develop such a concept, although to be fair my car will be almost in that mode as it spends most of the coming month travelling between East London and Newmarket for three consecutive weeks of racing, interspersed with sales and the odd gallops trip, writes Tony Stafford. I hope to make it in time for first lot probably on the Al Bahathri tomorrow as Ray Tooth’s Betty Grable (Delegator – Danella) takes her latest step towards an October debut for Hugo Palmer. Then it’s three consecutive days, Thursday to Saturday, on the Rowley Mile. HQ will actually race for the following two Saturdays, but I’ll miss the first of them for Ascot on October 1 as long as Dutch Law makes it into the Totesport Challenge Cup field. There are pattern races in abundance on all three afternoons this week, culminating in three major juvenile races, the Group 1 Middle Park and Cheveley Park Stakes supplemented by the Group 2 Royal Lodge on Cambridgeshire Day. For at least a couple of years the Champions weekend here mirrored Ireland’s example by running over two tracks on successive days. 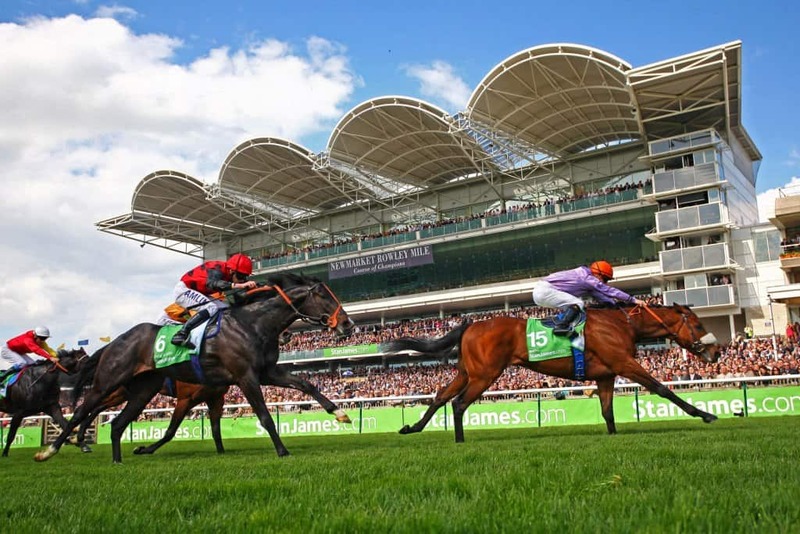 Newmarket raced on the Friday and Ascot on Saturday, and we had the absurd situation of the six-furlong Middle Park being run on the same card as the seven-furlong Dewhurst Stakes, the latter often the crucial event for identifying the year’s champion two-year-old. Two years ago there were six runners in each on that mid-October Friday, but that changed in 2015 and again this year when the Dewhurst, happily re-situated two weeks after the Middle Park, could conceivably be the target for that race’s winner. I’ve just had a look back at the 2015 triple of Group-race juvenile races which attracted a total of 21 runners. You’d think that between them, such races would have thrown up a plethora of big-race winners, but you would be wrong. The best of the three in heritage terms was the Cheveley Park Stakes, won in impressive fashion by Mark Johnston’s grey filly, Lumiere. She came back to the July Course in the summer to win a Listed contest, but could not add to that success in three other starts, all in top grade. Of the remaining six fillies, Illuminate (second), did not win any of her four runs this year; third-placed Besharah was equally non-achieving in five appearances and fifth to eighth Bear Creek (unraced), Sunflower (three runs), Rebel Surge (eight) and Shadow Hunter (five) all failed to add to the tally. The glaring (or rather glowing) exception was fourth-placed Alice Springs, who returned a couple of weeks later to win the now-discarded Tattersalls sales race for fillies which proved an easy touch for the Aidan O’Brien filly, who went through the ring in Book 1 in 2014. Tatts now give £25k per Book 1 winner for its first victory, spreading the joy, although when you buy in Book 1 you probably don’t need it. Alice Springs so far out-achieved her Cheveley Park counterparts that she has collected two Group 1’s this year - the Falmouth at Newmarket and the Matron, the other day at Leopardstown - with total authority. So, hardly overall the expected list of future achievements. What about the Royal Lodge? I used to love it at Ascot, where it was initiated a few months after me in 1946, starting at five furlongs but elongated to its present distance of a mile two years later. Apart from 2005 when Ascot was closed and it was temporarily housed at Newmarket, it was a constant in Berkshire, but the attempted BHA shake-up of the top autumn races meant Frankel in 2010 was the last Ascot winner of the race. We know what he did afterwards, and what he’s doing with equal distinction in the breeding shed, but what of the 2014 crop? Well, I can tell you that its winner, Foundation, promoted to Derby favouritism after seeing off Deauville in pleasing fashion, never made it to Derby Day, or even the winner’s enclosure in any of seven runs during this year. Runner-up Deauville did turn out at Epsom after finishing second to Foundation’s third in the Dante, but looked a non-stayer in 11th behind Harzand. His last two starts were both in North America, winning that valuable pot at Belmont before another creditable effort in third in the Arlington Million. Only one of the remaining four runners did anything at all this year, fourth-placed Humphrey Bogart winning the now downgraded to Listed Lingfield Derby Trial for Richard Hannon and Chelsea Thoroughbreds. He took his chance in the Derby and fifth place was a fine effort, but he was some way back in Deauville’s Belmont win and beaten twice more since. Muntazah, third, was nowhere in two 2016 starts, getting to the track once more than Cape The Faith and Sixth Sense, each unplaced on their only start. If you think that was pretty average, have a look at the Middle Park, won with such authority by Shalaa for the John Gosden stable. Sadly, injury prevented his running again and the sextet that followed him home amassed the proud tally of one win from 24 outings. That came when Steady Pace collected a little race at Meydan in the winter but the Middle Park third was unsuccessful in three races returned to the UK. Runner-up Buratino never approached the level of his busy, productive juvenile campaign, running five times for no reward and Ajaya (two), Rouleau (two), Venturous (five) and Madrinho, seven runs, did nothing to enhance the reputation of the respected event. Trainers usually have to choose between the Middle Park and Newbury’s Mill Reef Stakes and the way Clive Cox’s Harry Angel ran away with that prize on Saturday suggests he’ll do very well next year. He has an excellent example to follow – Ribchester, a top Group 1 winning miler, was Harry Angel’s immediate predecessor. I’ve been anxiously scanning the 75 entries for next weekend’s big Ascot handicap in which Dutch Law stands on 99, 13lb below probable top weight Speculative Bid, who is unraced in 2016. 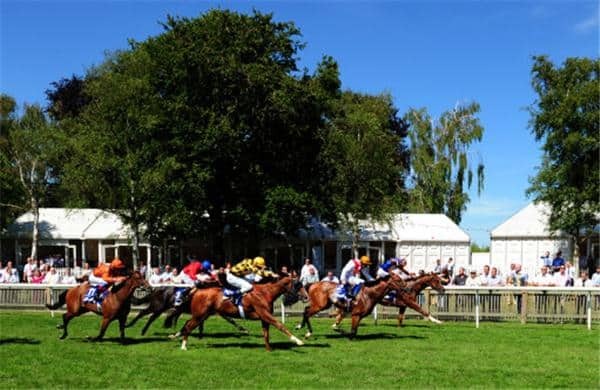 Several of those who ran in the Ayr Gold Cup and other races last week might bounce above him while others are set to drop below after poor runs. We’ll know that part of it in the morning, but it seems like we need around seven not to stay in of those above us to make the top 18. Hughie Morrison, who’s in such excellent form, thinks we’ve got a chance if we survive the cut for the race, over the same distance as his latest impressive win on the track. Ray, Steve Gilbey and I all hope he’s right. I’ve often pointed out elements of why writing this piece on Monday morning differs from the column’s previous Sunday identity, writes Tony Stafford. By the time I arrive at my 5 a.m. starting point – you have to have some stability for such a discipline – I’m projecting forward into midweek. Last Monday was all about Dutch Law and the estimable Pat Smullen at Ascot the previous Saturday and how he said he’d love to ride him again. It was never a project to try to get him over for the following – therefore last – Saturday rather than for the Irish champion fulfil engagements on a Classic weekend in Ireland. So for Smullen read Oisin Murphy who had been provisionally engaged for an earlier ride on Dutch Law only for his agent to find more sustaining opportunities elsewhere. Luckily this time, Oisin was present and correct in the paddock in advance of the gelding’s rapid return, but he seemed a shade agitated as he waited for action. Not much you could say to that. In the absence of trainer Hughie Morrison, who understandably settled for home track Newbury rather than another slog around the M4/M25/M11 horror show, and owner Ray Tooth, watching at home in Central London, I asked whether he’d had his instructions from Mr Morrison. He had, and for his added intelligence, I gave him the benefit of the great Smullen’s findings – “travels like a group horse in behind, but he’s a bit of a monkey”. A top jockey takes it as he finds it and when from the start, Dutch Law moved more like a carthorse than a Group horse in behind, and then finished anything like a monkey, with a final swoop past two or three in the last 100 yards, the glorious uncertainty of racing once again struck me. And even that wasn’t all. From my lucky July Course vantage point in the head-on stand, I saw three horses come to the line and without question, the horse in the middle, David Barron-trained Free Code, looked to be just ahead. It was the same when watching on telly. It didn’t just fool me. The Racing UK cameraman – they never get it wrong! - followed Free Code in the immediate aftermath of yet another “near miss” by already six-time second Dutch Law. I’d got halfway round to the unsaddling enclosure when the welcome words, “result of the photo finish, first, number three, Dutch Law” resounded, to a big cheer from the favourite-backing 8,000-strong crowd. Then came a vision, one I’d never seen in all my years watching racing at Newmarket. It was the grey and pink colours of Raymond actually cantering through the paddock on the way to unsaddle with an animated Oisin calling to the horse’s attendants “thank the owner, gotta run” whereupon he was off into the weighing room. Pretty much to the jockey’s fears, they hadn’t gone off until 5 p.m., five minutes late. Then it was just over two minutes for the race and that sprint back and no doubt not even a face wash before setting off to Surrey. I have to report that not only amazingly did he make it in time for the 6.10, but Oisin also had the satisfaction of an easy winner on Rafe Beckett’s odds-on shot, Great Glen, in the all-aged maiden. He went solo to Lingfield. Happily Dutch Law’s percentage will have paid the transport for the day. When I catch up with Mr Murphy, I’ll ask him if he remembers as far back as Saturday at Newmarket and what to us looked like an amazing ride. You never know with official handicappers, but it seems likely that when the next most important time of the week arrives just after 8 a.m. tomorrow, he’ll still be rated in the high 80’s rather than 90-plus and therefore eligible for similar events. When animals get branded with the tag of “nearly-horse” it’s easy to characterise them as possibly quirky or ungenuine. Dutch Law, now two wins to go with six seconds, a third, two fourths and four fifth places in 15 starts is certainly a bit on the quirky side. But apart from when eighth at Kempton on debut and when filling the same position in a nine furlong handicap which not only stretched his stamina but also featured a rapid mid-race move at York, he’s never been beaten more than five lengths. Additionally, since moving into handicaps 12 races ago, his individual RPR performances have never been outside the 78 – 91 bracket. With 97 from Timeform for Ascot, where he has now finished second in all three competitive races he’s tried, and possibly a pound or two higher for Newmarket, where he has won twice and been mugged on the line in his only other race there back in June, he looks a possible contender for something a little better as he matures fully. He has already outstripped the earnings of his year-older full brother, Dutch Art Dealer, who Ray sold for 42,000gns as a yearling. When Tattersalls sent their representatives around recently to see the three potentially most commercial of the Tooth yearlings to Kinsale Stud in Shropshire, they reacted to three well-grown, correct colts with a “Part Three and two Part Fours”. As the first of the trio was a very sharp, strong Mayson half-brother to Dutch Law, Rachael and Richard Kempster were horrified at the disdain with which the trio and especially the Mayson were received and their thoughts were echoed by one well-known consigning husband and wife team, who upon seeing him, said: “It’s a joke!”. Well, as with the trainer, who passed on recent Yarmouth debut runner-up Stanhope to Micky Quinn with the now-famous “He won’t make anyone famous!” comment, the joke could be on the other foot. Ray’s keeping all three to race next year, along with a French Fifteen colt that’s going to Nicolas Clement, who trained the Group 1 juvenile scorer for Ray in his five wins juvenile season, and two more we didn’t let Tatts see. Stanhope’s homework continues to please Mr Quinn and he has an engagement (along with Busted) for Newmarket on Friday night, when Harry Champion may also try to get his stuttering three-year-old season on track for Hugo Palmer. We’ll be hoping for another winner on what has been a happy hunting ground over the years. Collecting Saturday’s winner’s trophy was a reminder that it’s always an event to win races at the big tracks. As well as a very attractive silver-necked decanter, Ray also got what at first sight looks like a DVD sleeve, but inside which is a start to finish reminder of the race, complete with camera afterwards focusing on number two rather than number three. He didn’t mind a bit. With the sun finally shining outside, the prospect of Newmarket’s July meeting all of a sudden is a much more attractive one than previously anticipated in this dreadful summer. True, the old Tuesday to Thursday tradition is long gone, so we start with the sales on Wednesday, then mix sales and racing for the next two days before Saturday, when the July and Bunbury Cups dominate the afternoon action. Er, well they would, if it wasn’t for the fact that between 2.45 and 5.10 there are eight other races on Channel Four, if that’s where you watch the action. If I were at home, I’d be staying with Racing UK, not only home to Newmarket, but also the other afternoon fixtures at Ascot, Chester (no C4 there) and York. So while Matt Chapman and co are twiddling their thumbs bringing you some mixed fare from Tipperary, the RUK heavyweights have 28 races, worth a combined £1.58 million, to fit in an overall three-and-a-half-hour slot. Then there’s Salisbury and Hamilton in the evening on the 432 channel also. If I were at home I’d be hard pressed to find comfort and tea-making breaks, but I’ll be at Ascot watching Dutch Law win the finale at 5.35 for in-form Hughie Morrison. That is unless Alan Spence organises a helicopter to pick me up at Newmarket straight after Profitable goes a stage further on his great road to fame and fortune in the July Cup an hour or so earlier. If they can afford to supplement him, they should go the extra mile, surely. I’m sure I’ve mentioned it before, but Newmarket July is one of the few remaining meetings when old friends from earlier pre-social media days come out to play rather than watch their sport in their living (or should we say drawing?) rooms. Retired trainers, once prominent owners and local worthies from the era of owner-breeders and 50-horse strings, still show the same love for their sport, if not some of the modern developments. One thing this Saturday does provide is decent prize money. In all there are 14 races with £25k or more on offer, up to the £500,000 for the July Cup and £200,000 for the Bunbury and John Smith’s at York. I’ve never had a connection with a July Cup champion – apart from Mayson’s running in my old colours – but the 1988 Bunbury Cup winner, Pinctada, was bought by me from Charlie O’Brien and was the beneficiary of some deft handicapping at Wilf Storey’s Co Durham emporium. 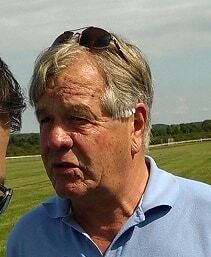 The next summer Pinctada won six races within 20 days (Friday to the third Thursday after) for Rod Simpson, yet never carried more than a single penalty. Those were the days of Racing Calendar publication of weights for a couple of weeks ahead, so it was remarkable that when, the following year, he’d won twice more before Newmarket, Pinctada was still low enough in the weights for lightweight Gary Bardwell (as well as owner Terry Ramsden’s money) to be on and 6-1 favouritism to be landed. My memory of 18 years ago is one of mixed emotions as I’d fallen out with Terry by then and watched the horse I’d found win a race I’d always loved. Another, long gone now, was the two-year-old seller which Suggest won two years before for Wilf on his second start after being bought privately from Fathi Kalla, owner of the smart Corrupt, who won the Voltigeur after finishing sixth in Generous’ Derby. We paid a few quid to buy him back in a race from which the previous year I bought Linda Stubbs’ nice winner Buzzby. Prince Yazid Saud, who’d been a prominent owner a few years earlier with such as Persian Heights, the St James’s Palace Stakes winner, had the very plausible idea of buying British seller winners to take advantage of the perceived easier midsummer French juvenile opportunities. The same opportunity is equally true nowadays as Jo Hughes and Paul Blockley have been exploiting such races so well this season, following Stan Moore, Noel Quinlan and Giles Bravery’s recent example. So when in 1996 Buzzby came with a strong run to win by a couple of lengths at Newmarket, he was relatively cheaply bought, possibly for around £7,000. Anyway within a month he’d won 10,671 Euro, first time out at Deauville for George Mikhalides, so for a while that idea turned out well. It was, of course, no more than a consolation prize. The day before, having done my research on behalf of the same owner, I had stood with some trepidation, charged with the responsibility of buying a horse that my client thought could develop enough to win the coveted King’s Cup back in Saudi Arabia. There was a very decent budget, but by the time that was exhausted – I think I bid £35k – Timmy Hyde had secured future triple Champion Hurdle winner Istabraq for 38,000gns. Years later I asked Timmy how much J P McManus would have paid. “We’d have gone to 100!” he said. More like cannon fodder than under-bidder! Wednesday’s sale day could be fragmented if Harry Champion runs at Yarmouth, like Dutch Law on Saturday, in the last race of the afternoon. Yarmouth’s been lucky over the years and it provided a first win for Hitman a few weeks before his track record-breaking win in the valuable 10-furlong race, now worth £80,000. He was a syndicate horse trained by Henry Cecil and running in the name of the Paper Boys. Giles signed the docket after we paid 11,000gns, but was resigned he would not be training him and when Henry came to view him in Hamilton Road, his fears were realised. Sorry mate. He looked a class act that day but unfortunately Brought Scott exploded my anonymity – having activated my vanity - by interviewing me after the race on ITV. This encounter attracted the notice of a Hertfordshire copper, also a racing fan, who relayed the information back to the then Mrs Stafford at HQ, eliciting the remark “What horse?” when given the good news. Saturday’s logjam will once again be diluting the effect of the John Smith’s Cup at York, another of those great races with as many happy as unhappy memories, way back to the days of David Jack, owned by Arsenal fan Jack Fisher and the cantering winner 50 years ago under the brilliant Peter Robinson. But for the purists all is not lost. Newmarket have indicated that they will consider going back to midweek (sort of, Wednesday to Friday) next year leaving some breathing space for Ascot and York at the weekend and making it rather easier than will be the case this week for a decent jockey to be available for owners’ horses. If nothing else, someone can join me and Alan on the helicopter back after the July Cup to ride Ray Tooth’s horse. Dream on! After a scintillating weekend at Longchamp, attention for Flat racing fans now turns to Newmarket and the Dubai Future Champions Festival. The inaugural event is staged over two days, and with over £2million in prize money is sure to attract high-class juveniles from the most powerful yards. On Friday the feature event is the £500,000 Dubai Fillies’ Mile, one of the most valuable Group 1 two-year-old contests in Europe. On Saturday the Group 1 Dubai Dewhurst Stakes could prove one of the most exciting juvenile contests of the season, with Godolphin’s undefeated Emotionless set to clash with Ballydoyle’s leading two-year-old Air Force Blue. O’Brien’s colt was mightily impressive last time at the Curragh when cruising to a comfortable win in the Goffs Vincent O'Brien National Stakes. Emotionless left a similar impression when sauntering to a wide margin victory in the Champagne Stakes at Doncaster. Yet it is Jim Bolger who has the outstanding recent record in the Dewhurst, with five wins from the last nine renewals. Teofilo, New Approach and Dawn Approach were among those high-class winners. The victor on Saturday is sure to become a short-priced favourite for next year’s Guineas. Also on Saturday’s card is one of the most prestigious handicaps of the season, the Betfred Cesarewitch. Often billed as a clash between Flat and National Hunt horses, the 2m2f contest has gone to a number of Jump racing’s finest trainers in recent times. Philip Hobbs took the prize last year, when his Big Easy won in the hands of Tom Queally. Hobbs had won the race in 2006 with the wonderful grey Detroit City. Nicky Henderson has also found success, with Caracciola in 2008 and with Landing Light in 2003. The former won at the grand old age of 11. 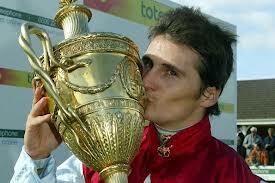 Martin Pipe was another to score twice in the Cesarewitch, back in 2000 and 2002. And not to be outdone, an Irish Jump racing legend, none other than Tony Martin, sent Leg Spinner across the Irish Sea to take the prize in 2007. The Irishman is set to send Quick Jack over at the weekend in an attempt to add to that lone success. The six-year-old came third in last year’s race, and will be ridden by Ryan Moore. Another trainer more commonly known for his horses exploits over the obstacles is Alan King. He’s sent out a fair few winners this summer on the flat and could be double-handed on Saturday. Grumeti was a top-class juvenile over hurdles, but the seven-year-old has only shown flashes of his best form in recent years. First Mohican could be a more interesting contender. He ran well at Goodwood a couple of weeks back, though this trip is sure to test his stamina to the limit. He does have a touch of class, and will be ridden by last year’s Cesarewitch winner Tom Queally. It’s set to be a wonderful two days of top-class racing, with an exciting mix of equine youth and experience set to ‘tickle the fancy’ of an expectant Flat racing fraternity. With three winners in the past six years priced at 50/1 or bigger, this race can hardly be described as one for the punters. But there is some good news too, in the shape of bookmakers' place odds concessions, with no fewer than SEVEN firms offering six places for each way players. And, with eight favourites or joint-favourites making the frame in the last seventeen years, there is at least some hope with those extended place payoffs. We'll start with the trends for the race. Since 1997, the score is 10-7 to the flat trainers over their National Hunt counterparts. And, since 2009, it's 5-0 to the flat brigade. Messrs Johnston (three), Meehan, (Martin) Pipe, Henderson, and (Ian) Balding (two each) have all recorded multiple victories since 1997, so their entries deserve a double take. This year, Ian's son, Andrew, saddles Communicator and Debdebdeb; Johnston has Sir Frank Morgan; and Henderson runs Earth Amber. Aside from Never Can Tell's incredible win from stall 36 - a supremely game effort under an inspired Frankie Dettori - in 2011, high drawn horses have a very moderate record. Indeed, only three of the last seventeen renewals have been won by a horse drawn 20+. By contrast, six winners - and another nine placed horses - in that time were drawn in stall four or lower. Twelve of the last seventeen winners (71%) finished in the top four last time out, from 53% of the runners. Those top four last day runners also bagged another 35 places, aside from the dozen winners. Since 1997, winners have been aged from three up to eleven, with those aged eight to eleven having the highest strike rate (four from 56, +83 points). 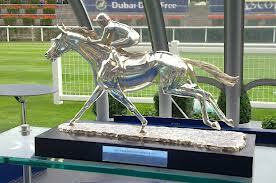 Weight stops trains, they say, but it has not made life tougher for the better class horses in the Cesarewitch. Since 1997, five of the seventeen winners (29%) carried more than 8-11. That was from 27% of the runners, implying that weight is not a material factor. Pulling all of that together into anything remotely cohesive is a challenge, but I'd be keen on a horse that finished in the top four last time, which eliminates exactly half of the field. I'd also discount any horse drawn 20 or higher, which removes a further six. Favourite for the race is last time out scorer, Quick Jack, representing the wily stable of 2007 winner, Tony Martin. Drawn 12, the hooded five year old has been first or second in each of his last six flat starts. Moreover, he's won all three starts on good ground, tomorrow's forecast turf condition. And he loves a big field, having won four and placed in another three of his eight races of 16+ starters under all codes. In short, Quick Jack has everything in his favour for a big run, except perhaps his price of 6/1, and the fact he's now nine pounds higher than his last win. Still, he remains tempting with six places available for insurance purposes. Richard Hughes will ride this obvious contender. De Rigueur may offer a smidge more value in a race that has been won by plenty of big-priced beasts in the last few years. According to his trainer, Marco Botti, this former German-raced stayer wants soft ground. Curious, then, that one of his two runs over two miles was a win on good to firm; the other a neck second on the beach at Kempton. As a son of Montjeu, and if the trainer is correct (some of them occasionally are), any rain will be a bonus, so the soggy forecast can be considered a plus. This will be De Rigueur's first attempt at beyond two miles, a trip for which his form suggests he may improve, and with the boy Andrea Atzeni on board and stall 13 no hindrance, 25/1 looks good value, even with 'only' five places to aim at. Andrew Balding is still trying to emulate his old man, Ian, and given the recency of Uncle Toby's passing, it would be a poignant victory indeed should Communicator (or Debdebdeb) prevail. Communicator's main problem is his win strike rate: just two triumphs in 22 starts, but nine further podium positions makes this fellow a precarious win proposition. If one can overlook that, he has chances. Going and distance won't trouble him, as evidenced by a fine third behind Suegioo in the Chester Cup. Ted Spread once ran in the Derby, but has had plenty of pastures new since that day in June 2011. Suzy Smith has eked a tune out of the lad since acquiring him at the end of last year, but he's not been on the track for 140 days, and I'd be looking elsewhere with the trip unproven too. In 2006, Terry Warner's Detroit City won the Cesarewitch, trained by Philip Hobbs. The same squad attempt a repeat mission this year with Cesarewitch Trial runner-up, Big Easy. On the basis of that course and distance neck second, conditions will be fine, and the seven year old will be fitter than he was when only 21st in the race last year after a four month absence. Still, I'll let him beat me at around 11/1. John Quinn saddles both Swnymor and Moidore, with the latter being a firmer profile fit, and having run a fair nine length tenth in the race last year. He was given plenty to do then by his inexperienced pilot from trap fifteen, and though he again has a five pound apprentice aboard, Joe Doyle has looked good value for the claim. Stall four is a big plus too. Groovejet has run some gallant races in Pattern company recently, most notably when best of the rest behind facile victor, Silk Sari, in the Group 2 Park Hill Stakes last time. As a three year old, she gets a hefty twelve pound weight concession, and her age group have won twice from just 36 starters since 1997. That's a better win rate than four, five, six and seven year olds, though from a smaller sample size. She remains progressive, and there are unlikely to be any Silk Saris in this field, so at 28/1 she's no forlorn hope, having been staying on over a quarter mile shorter that last day. And the last to catch my eye is last year's second, Waterclock. He raced off a mark of 88 then, and beat all bar Scatter Dice. This time his rating is a mere 82, giving him a strong theoretical chance assuming this field is on a par with last year. He went into last year's race on the back of a fourth of nine in a two mile handicap, and he matched that feat precisely last time out in preparation for this big test. 40/1 looks very big for deja vu punters. The remaining trio of Jonny Delta, Laughing Jack and Argent Knight don't look quite good enough for a race of this nature. With 'just' 34 of them scheduled to face the starter, picking a winner is an obviously difficult task. Despite his clear-cut claims, Quick Jack ain't no value at 6/1, and I'll cuss and wipe my mouth if he prevails. Against him, I'm quite sweet on Marco Botti's De Rigueur, for whom rain would be a bonus, but even without that, he has a solid profile, making 25/1 too big. Another who could be value is the progressive three-year-old filly, Groovejet. A literal interpretation of her Group 2 second last time would be the best recent form in the line up, and she could prove a bargain at 28/1 in a place. Waterclock has been here and almost done this, finishing second last year, and that's enough to tempt me into a tiny win/place tickle at 40/1, especially as he's six pounds better off at the weights compared with a year ago. As always, be sure and check the best prices in the 'village', and also note the place concessions. Winner Sports for instance are offering SIX places each way, AND money back as a free bet if your choice finishes second or third. They're joint best price at 6/1 Quick Jack, so you could back him each way - 6/4 a place down to sixth position - and get the win part of your stake back as a free bet if he finishes on the podium without winning. Make sense? Good! That offer is for new AND existing customers, but you do need to use this link apparently. On Saturday the second leg of flat racing’s ‘autumn double’ takes place at Newmarket. The Cesarewitch was established in 1839 along with its handicap sibling the Cambridgshire. 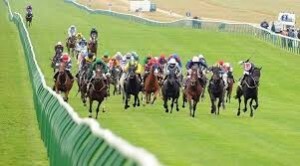 Run over 2m 2f and finishing on the famous Rowley Mile it regularly attracts a large and competitive field. As such it has often become a bookies' accomplice as opposed to a punters' patron. The last two renewals were won by horses at 66/1, with only two favourites victorious in the last 20 years. 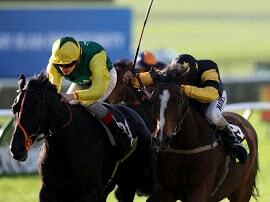 Aaim to Prosper became the only horse to win twice, when doing so in 2010 and 2012. His double was completed under the substantial burden of top weight. The race tends to favour those carrying less than nine stone, with only five horses since ’95 having carried more. In recent times this famous ‘stayers’ event has been targeted by National Hunt trainers. 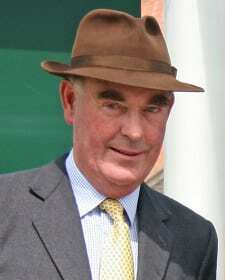 Martin Pipe sent out the winner in 2000 and 2002. Nicky Henderson matched him in 2003 and 2008. In between there were wins for Philip Hobbs and Tony Martin. The latter has the market leader this time round with Quick Jack. Money has continued to come for the Irish raider during the week. The horse has a cracking record on the flat, finishing first or second in his last six outings. His most recent win came in a competitive handicap at Galway. Having Richard Hughes on-board is also a significant plus. Jonjo O’Neill saddled third placed Tominator in 2012 and has another crack at the major prize with Saddlers Rock. An intriguing entrant formerly with John Oxx, this classy son of Sadlers Wells is on his lowest handicap mark since winning the Doncaster Cup in 2011. He’ll need decent ground to be seen at his best. Nicky Henderson relies on Earth Amber. It’s interesting to see that Kieran Fallon has been secured for the ride, though the horse finished well down the field in last year’s race. John Quinn came within half a length of victory two years back. His stable star Countrywide Flame, sadly no longer with us, just failed in a thrilling finish. This time the Malton trainer is double-handed with Moidore and Swnymor both well fancied. The latter was last seen finishing strongly behind Quick Jack at Galway. He’s far better off at the weights and twice the price of the race favourite. Moidore ran respectably in the race last year and looks to be on a fair handicap mark. Philip Hobbs has another crack at the race with Big Easy. Down the field in 2013, he ran a belter in the Cesarewitch Trial Stakes at the course last month. Tom Queally retains the ride, and further rain would not hinder his chances. Other trainers known for their exploits over obstacles with entrants here include Willie Mullins, Demot Weld, Ian Williams and Lucy Wadham. Frankie Dettori gets the ‘leg-up’ on Wadham’s Noble Silk. He ran well in the Northumberland Plate earlier this summer when suffering interference late on. It would be folly to solely focus on horses trained by the National Hunt fraternity as potential winners of this historic race. After all, they have failed to lift the prize in the last five renewals. Yet there can be little doubt that the modern day Cesarewitch is greatly enhanced by the clash of codes at the celestial home of flat racing. A magnificent morning in Newmarket was an ideal setting for a surprisingly chirpy and forthcoming Sir Michael Stoute, assuming centre stage at a media day held ahead of the July Festival next week. HQ's senior trainer looked in rude health - something he's not been able to take for granted in recent years - as he gave generously of his time and knowledge to a group of journos unaccustomed to such soundbite largesse. The master of Freemason Lodge has a small but select squad engaged for next week, headlined by Falmouth Stakes-bound Integral (pronounced 'In-teg-rule' by most present, bit I'm sticking with 'Inter-gruel'). Winner of the Duke Of Cambridge Stakes at Royal Ascot, Integral steps up from that Group 2 to Group 1 company for the first time since finishing a length second to Sky Lantern in the Sun Chariot Stakes last backend. That's on the Friday, and before then Arab Spring is likely to run in the Princess Of Wales's Stakes on the opening day of the three day fixture. He won the huge field Duke Of Edinburgh Handicap in the manner of a Group horse, pulling away by a pair of lengths at the line. Arab Spring "keeps progressing" according to his trainer, and he may not need to find too much more than that Royal meeting performance to come out on top in a race Stoute has won nine times stretching all the way back to Shardari in 1986. In Saturday's Bunbury Cup, the rejuvenated Sir Michael may well run Abseil. Winner of a decent Epsom handicap, Abseil ran well enough at Royal Ascot, and finished within five lengths of Field Of Dream there. The trainer is unconcerned by the step back in trip, feeling Abseil is equally adept at both seven furlongs and a mile, and he's another progressive-looking four-year-old from the grand-daddy of training older horses. Possibles to supplement that July Festival trio are Idea, beaten far enough in the Britannia Stakes but well worth another try in a mile handicap; and, Bragging, for whom the ground may have been soft enough when second last time at Nottingham. 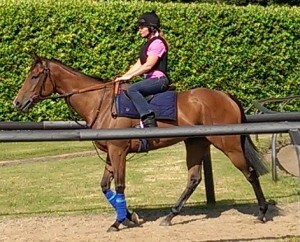 She may head for a seven furlong fillies' handicap next Friday, and looks worth another try on fast ground. Away from discussing his team for next week, Sir Michael proffered forth his opinions on a range of requested subjects. Asked about his recent resurgence, he put it down simply to "having some nicer horses in the yard in the last couple of years". Looking at the ease with which this sometimes elusive character controlled his crease - in the company of his good friend, ex-West Indian cricket legend, Michael Holding - it would be hard not to suggest that the apparent rudeness of his health was also a factor. Indeed, Sir Michael was playing his verbal shots with loose aplomb, scattering responses to every corner of the assembled hack pack. On Ryan Moore, he was concise and unequivocal. "The best in the world right now", was his answer to how important the champion jockey is to the yard. On his affection for the July Festival, "I thoroughly enjoy it, and not just because it's down the road. They put on great racing, and there's a very good atmosphere". And, in closing, one horse to follow beyond next week might be Cannock Chase. Winner of his last three, most recently the Group 3 Tercentenary Stakes at Royal Ascot, the three-year-old son of Lemon Drop Kid was mooted as a possible for the Gordon Stakes at Glorious Goodwood, or possibly the Prix Eugene Adam at Maisons-Lafitte. A noted trial for the St Leger, the Gordon is over a quarter mile further than the hat-trick was achieved, with the Leger being another quarter mile still. Nevertheless, as a speculative wager for the fifth Classic, he looks worthy of a throwaway penny or two. Not quoted just now, keep an eye out for him. IF he stays, he'll be a runner. It's a fairly big 'if', but then he'll be a fairly big price when one of the books opens up. Who'll Be Kissing The Gold Cup on Sat?